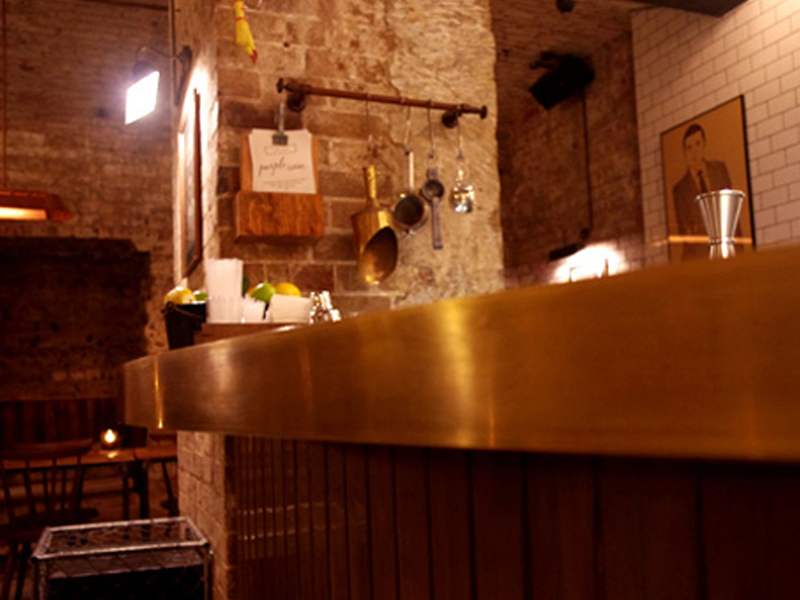 Palmer & Co is an exclusive prohibition throwback whiskey bar located in Sydney’s CBD under The Establishment. Operated by the Merivale group, Palmer & Co revel in the smokey elitism of delicious food and drinks and exquisite 1920s design. Astor worked with the Palmer & Co designers to reflect this identity and choose chic and on trend finishes. 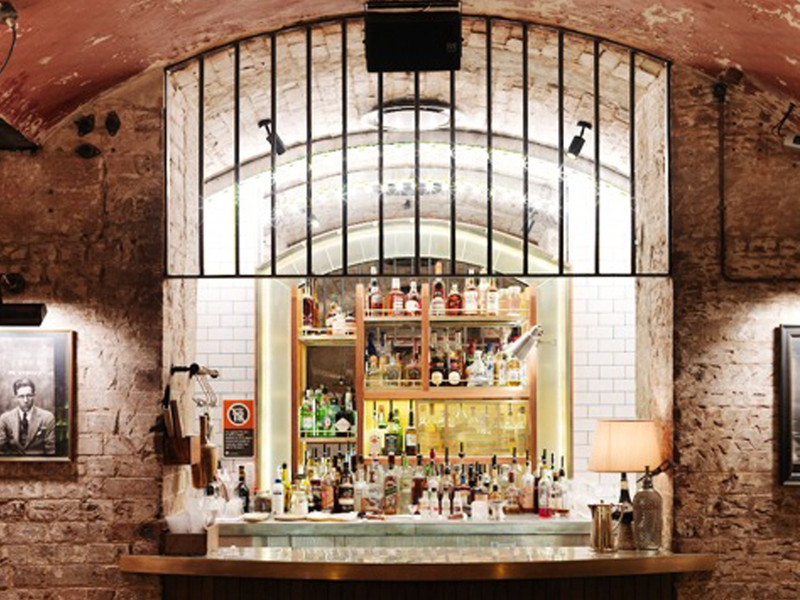 The finishes included vaulted brick ceilings, leather-topped tables, copper lights, timber, tiles behind bar and Astor’s oiled light bronze. The lighter bronze was actually a fashion forward decision from the designers as up until this request our specifiers’ favourites were Astor’s darker chocolate brown bronzes. Since then the lighter bronze has been immensely popular. 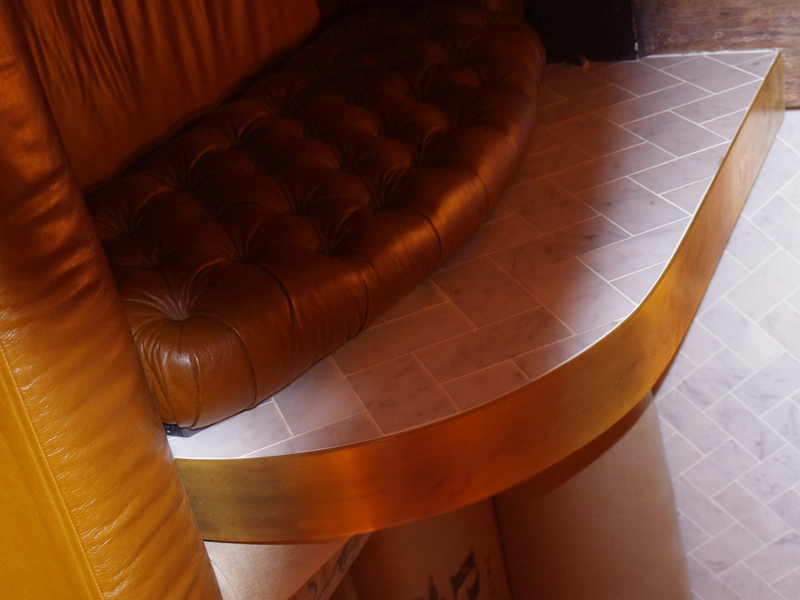 Astor electroplated wide curved aluminium edge strips, which form the bars and banquette seating & foot rails. 100 x 3mm aluminium flat-bar was bent to form custom handles to joinery unit which serves as a room divider and display cabinet.